Aggregated analysis of these log files is used to monitor website usage. These analyses may be made to available to Spearfishing.co.uk staff and partner agencies to allow them to measure, for example, overall popularity of the site and typical user paths through the site. 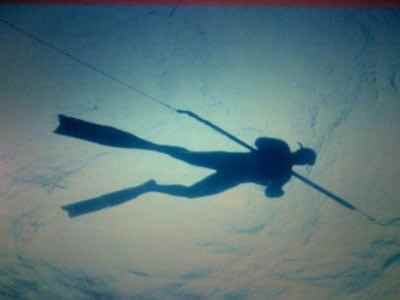 Except as stated already, Spearfishing.co.uk will make no attempt to identify individual users. You should be aware, however, that access to web pages will generally create log entries in the systems of your ISP or network service provider. These entities may be in a position to identify the client computer equipment used to access a page. Such monitoring would be done by the provider of network services and is beyond the responsibility or control of Spearfishing.co.uk. Spearfishing.co.uk will make no attempt to track or identify individual users, except where there is a reasonable suspicion that unauthorised access to systems is being attempted. In the case of all users, Spearfishing.co.uk reserves the right to attempt to identify and track any individual who is reasonably suspected of trying to gain unauthorised access to computer systems or resources operating as part of Spearfishing.co.uk web services. As a condition of use of this site, all users must give permission for Spearfishing.co.uk to use its access logs to attempt to track users who are reasonably suspected of gaining, or attempting to gain, unauthorised access. All log file information collected by Spearfishing.co.uk is kept secure and no access to raw log files is given to any third party. PHPSESSID This is a simple token used by PHP to identify your unique session on the website; it expires when you close your browser. It is typically used to maintain the integrity of your session while transacting information with a website (accessing secure areas, forms submissions etc). __utma Google Analytics: We use Google Analytics to monitor traffic levels, search queries and visits to this website. Google Analytics stores IP address anonymously on its servers in the US, and neither Spearfishing.co.uk nor Google will associate your IP address with any personally identifiable information. These cookies enable Google to determine whether you are a return visitor to the site, and to track the pages that you visit during your session. __cfduid We use a content delivery network (CDN) to serve the static files of our website. To enable Cloud flare to act as a reverse proxy so all your traffic will comes from one IP address, it sets this cookie to uniquely identify you. We keep our privacy notice under regular review. This privacy notice was last updated on 25 May 2012.